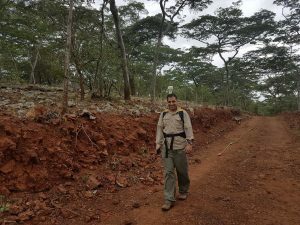 Groundradar was recently contracted by an Indian exploration company to examine a series of small nickel laterite deposits in central Tanzania using UltraGPR. The deposits have been known for decades, but had not been extensively explored except for the artisanal mining of chrysoprase. After 20 years in attendance, the PDAC continues to be a highlight in Groundradar’s annual conference calendar. In conjunction with a paper at the KEGS Innovation in Geophysics Forum which garnered interest in new radar technologies, the Groundradar booth was well attended by existing clients as well as new partners. Dr. Francke presented a paper entitled “Applications and Limitations of Deep Ground Penetrating Radar to Mineral Exploration” at the KEGS Innovation in Geophysics Forum in Toronto, which addressed advances in GPR technology as well as analysing claims made of extreme radar performance.